President James Monroe's 1823 message to Congress declaring opposition to European colonization in the Western Hemisphere became the cornerstone of nineteenth-century American statecraft. Monroe's message proclaimed anticolonial principles, yet it rapidly became the myth and means for subsequent generations of politicians to pursue expansionist foreign policies. Time and again, debates on the key issues of nineteenth- and early-twentieth-century foreign relations—expansion in the 1840s, Civil War diplomacy, the imperialism of 1898, entrance into World War I, and the establishment of the League of Nations—were framed in relation to the Monroe Doctrine. Covering more than a century of history, this engaging book explores the varying conceptions of the doctrine as its meaning evolved in relation to the needs of an expanding American empire. In Jay Sexton's adroit hands, the Monroe Doctrine provides a new lens from which to view the paradox at the center of American diplomatic history: the nation's interdependent traditions of anticolonialism and imperialism. The more history I read (and I read it `for fun') the more I crave the kind of details that show - in all their maddening, confusing complexity - the way events actually (or probably) occurred. The fact is: only the myths of history are easy to grasp. Real history is not in any degree neat or tidy or simple, which makes the good writing of it that much harder. Jay Sexton's Monroe Doctrine wasn't an easy read for me, but only because I didn't refresh myself on some of the historical background I needed in order to understand all the potentially confusing details. The good news: I quickly grasped Sexton's analysis of the Monroe Doctrine as a fluid policy that politicians for a century reshaped to suit their purposes. What amazed me was Sexton's skill at showing, in a relatively brief book, (248 pages), the interplay of policy, personalities, and political pressures from here (the US) and abroad that created various interpretations of the MD. The author's tone was even and dispassionate throughout, which is rare these days, when everyone seems to have an ax to grind. In short, this book needs wider circulation - as does Sexton's monograph Debtor Diplomacy. That one is, excuse the expression, Mind Blowing. Jay Sexton's book on the Monroe Doctrine is a focused and discerning look at the evolution of this country's most (in)famous foreign policy from it's declaration to the Roosevelt Corollary. Sexton's diplomatic history is organized around the evolving understanding of the Doctrine both in terms of our internal politics and as a guiding principle of our relations with other nations (especially the British). His ideological history of the Doctrine is organized around the concepts of union, nation and empire. In the beginning of our national history, our main political goals were union and independence. We were in a struggle to define what sort of nation we would be internally and we reacted to what we saw as external threats as well. As any reader of, say, the Federalist Papers will recall, our main fears were around some combination of internal faction and external foe. Frequently, those fears were exaggerated or just plain imagined. Sometimes those fears were manipulated to justify political actions by some of our early statesmen (see Frederick Merk's Fruits of Propaganda during the Tyler Administration for examples). The fear that drove the issuing of Monroe's message was that the Holy Alliance (France, Austria, Russia and Prussia) would use their Troppau Circular of 1820 to justify interferring on the side of Spain to crush the independence movements in South America. Our fear was that we would end up surrounded by some combination of the Holy Alliance, Spain and Britain. This fear along with some other politics led to Monroe's message (n.b., the phrasing- the policy that Monroe announced was not called the Monroe Doctrine for many years and when that happened it heralded a change in its meaning). The original message as crafted by Monroe, J.Q. Adams and Calhoun, warned the European powers that any intervention in Spanish America would be seen as a threat to our own security. It dodged the question of what we would do about it. It also dodged the question of our own expansion of territory. The only thing positive that it did declare we would do is not interfere in European affairs. (pp.60-61 for Sexton's summary of the original message). The message was thus a combination of anti-colonialist support for republicanism hemisphere wide while carefully not limiting our own options. One of the ironies that Sexton points out about this early stage in the history of the Monroe Doctrine is that it initiated an economic competition between ourselves and the British for the markets of Latin America that lasted decades. Early on, the British had the advantages- they had stronger financial resources to offer the developing countries of South American and they had a stronger navy to protect those markets from any disruption. The rest of Sexton's book next takes us through the history of the Monroe Doctrine as it became the Monroe Doctrine during the 1830s and 1840s. One of the fears that drove the internal political use of the Doctrine during that time frame was the fear of International Abolitionism. (By the way, the capitalization is mine. There is a fine book out there waiting to be written on the parallels between Southern fears about the International Abolitionist conspiracy and American fears of the International Communist Conspiracy during the '50s and '60s.) Mexico abolished slavery in 1829, the British passed the Slavery Abolition Act in 1833 and started to emancipate in the Caribbean. The combination of this external movement with several slave rebellions in the southern states was enough to push the use of the Monroe Doctrine toward a pro-slavery interpretation that was used to justify our acquisition of Texas, Oregon and California. 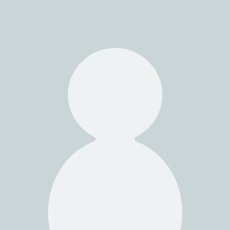 I will briefly summarize the rest of Sexton's history. He writes of the use of the Doctrine during the Civil War by the diplomats on both sides of that conflict, and it use in the Gilded Age that eventually resulted in the War of 1898 and the Roosevelt Corollary which announced the the US would act as an international police in the case of repeated and "flagrant wrongdoing" in the internal politics of any country in the hemisphere. We would do so because it was "our duty". Our duty as defined by our civilization and our white man's burden. (see pp. 229-230). Along the way there are insightful and detailed discussions about the politics of Harrison, Cleveland and Blaine. There is also a continual narrative of the British support/competition. I mentioned earlier the irony of our partial dependence on the British navy for the enforcement of the Monroe Doctrine. After the announcement of the Roosevelt Corollary, the British withdrew some of their major naval units from the Atlantic area (p.238). Sexton then finishes up with a brief discussion of Woodrow Wilson and a summation of his argument. Overall, what Sexton has given us is a nicely detailed look at how one policy initiative effected the growth of this country from a union to a nation to a relatively new type of empire. If you are at all familiar with the history of nineteenth-century America this will be an useful and enlightening read. 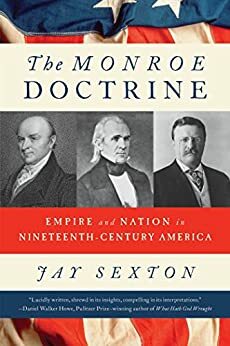 In The Monroe Doctrine author Jay Sexton (Oxford University) provides a detailed analysis of how the doctrine was developed and its subsequent impact on American policy. In the process, he addresses three issues that were prominent in the early years of the American republic: (1) Consolidation of American independence from Britain, (2) The forging of the new nation, and (3) The emergence of the American Empire. Perhaps his status as British historian who specializes in American history gives him an unusually objective view of the subject. Perhaps his knowledge of Britain's role in world affairs adds depth to his analysis. In any case, he has produced an unusually insightful text. I found interesting and useful insights on almost every page. I'll try to summarize the highlights of his book below, but please don't take my review as a substitute for reading the book. It is well worth the effort. Under the Articles of Confederation, the union of the United States was exceedingly weak. One of the concerns of the founding fathers was that this weakness was likely to draw European powers that would seek to aid one state in its disputes with another, thereby further weakening the union and establishing a foreign influence on the client state. While the primary response to this threat was the creation of a stronger union under the Constitution, a foreign policy based on avoiding foreign entanglements was another necessary response. Another fear was that foreign control of strategic territory on the periphery of the original territory of the United States would provide bases for British, French and Spanish incursions and occupation of US territory. In fact, the British occupied nine forts on US territory and had proposed that the area between the Ohio River, Mississippi River, and Great Lakes be declared a neutral buffer zone between the US and British Canada. Simultaneously, the Spanish claimed essentially all the territory between the Alleghany Mountains, the Mississippi and the Great Lakes. These disputes were only settled in 1795 under Jay's Treaty with Britain and Pinckney's Treaty with Spain. (See Samuel Flagg Bemis' books on those treaties.) Even after these treaties were in place, Spain continued to control Florida, New Orleans and the Louisiana Territory were controlled alternately by Spain and France, and Britain remained in control of Canada. These perceived threats contributed to the American drive to expand, immediately by the acquisition of the Louisiana Territory and East and West Florida. As early as 1818, Monroe and his Secretary of State John Quincy Adams had inched toward diplomatic recognition of the Latin American nations that had declared their independence from Spain. They backed away so as not to derail Adams' negotiations with the Spanish Minister Luis de Onis on the transfer of Florida from Spain to the US and Spanish recognition of the US claim to the Oregon Territory. Monroe and Adams also hesitated to recognize the former Spanish colonies unless Britain did so as well, providing some shelter for the Americans from the inevitable Spanish wrath. Britain rejected this overture, and the US delayed recognition until 1822 when the Adams-Onis treaty had been signed and new international issues had arisen. The immediate motivation for the Monroe Doctrine was the formation in 1823 of the Holy Alliance of absolutist monarchies: Austria, Russia, and Prussia. The Alliance backed France in its intervention in Spain to restore Ferdinand VII to the throne. This move raised fears in both Washington and London that France and Spain, backed by the Holy Alliance, would seek to restore Spain's rule over its former Latin American colonies. British Foreign Secretary George Canning approached the American minister in London, Richard Rush, with a proposal for a joint Anglo-American declaration of opposition to new European colonization in the Americas. The US, following Secretary of State Adams strategy, neither accepted nor rejected the British proposal. Adams strategy was motivated in part by a British condition that both countries pledge not to annex any formerly Spanish territories in the Americas, including Texas and Cuba, which were both American targets for future expansion. Adams convinced Monroe issue a unilateral American declaration in his annual address to congress that the establishment of new European colonies (implicitly including any sought by Britain) would be viewed as an unfriendly act by the US. To avoid provoking the Europeans more than necessary, Monroe did not specify any actions that the US would take in response to a European attempt to control new territory in the Americas and also declared that the US would avoid interfering in European affairs. Since the declaration was made in an address to the US Congress, not to the European states, the latter were under no pressure to respond. The Monroe Doctrine was, thus, a simple statement of American desires. The strategic motivation for the Doctrine was fear that European powers, including or backed by the Holy Alliance, would establish bases in the Americas that could be gradually expanded to threaten the US. In a sense, it foreshadowed the 20th Century Policy of Containment and Domino Theory. In the formulation of the Monroe Doctrine, Adams was a key strategic thinker. Secretary of War John C Calhoun probably overreacted to the potential threat posed by the Holy Alliance when he proposed accepting Canning's terms, including the ban on annexation of Texas and Cuba. The first draft, written by Monroe and Calhoun, was bellicose, specifically condemning France's interference in Spain. Adams advised moderation, pointing out that perhaps the greatest threat was that the strong US response might prompt the Holy alliance into action. And, as Adams anticipated, following the more moderate declaration of the Monroe Doctrine, the Holy Alliance did nothing. The Monroe Doctrine was partially forgotten during the administration of Andrew Jackson whose only interest in the new nations of Latin America was the creation of additional diplomatic posts to reward political supporters. Unfortunately, this resulted in the assignment of political hacks with no knowledge of diplomacy or the Spanish language as US ministers to Latin countries, thereby lowering those countries esteem for the US. The Monroe Doctrine resurfaced during the administration of James K Polk (1845-49). The Doctrine was used by three factions in government to support their conflicting views. Polk used it to support the Doctrine of Manifest Destiny and the War with Mexico on the basis that (1) Mexico's weak control of its northern territories (California and New Mexico) and (2) the overtures that the independent Republic of Texas had made to Britain for support invited European intervention. Calhoun cautioned that the Monroe Doctrine needed to be used more selectively, preferably to support slavery, which was under increasing attack by the northern states, by Britain, and in many of the new Latin American nations. Finally, the Whigs opposed any territorial acquisitions for fear of reopening the issue of slavery that they hoped had been resolved by the Missouri Compromise in 1820. The Civil War saw the nightmare scenario that prompted Monroe's original declaration in 1823: Internal strife coupled with foreign intervention. The French installed a puppet emperor in Mexico while the Confederacy sought British support in their war for independence. I believe the French intervention in Mexico (while the US was too preoccupied with its Civil War to take any overt action) was the first really significant occupation of a major Latin American country since Monroe's declaration. This suggests that the Doctrine may have had some restraining effect of European powers over the preceding 40 years despite its lack of any specified American response. In 1895, President Grover Cleveland and Secretary of State Richard Olney invoked the Monroe Doctrine by insisting that the US arbitrate a dispute between Britain and Venezuela regarding the latter's border with British Guiana. Olney's note to his British counterpart contained the inflammatory declaration that "Today the United States is practically sovereign on this continent [referring to North and South America together] and its fiat is law." Ironically, Olney and Cleveland used this dramatic rhetoric not to increase the scope of the Monroe Doctrine but as a preemptive verbal attack in hopes that it would reduce the likelihood that the US would need to intervene actively in this or future situations. Surprisingly, after much harrumphing, Britain accepted US arbitration, the first tacit acceptance of the Monroe Doctrine by a European power. Despite the success of Olney's "twenty- inch gun" in the 1895 Venezuelan border dispute, the tactic failed to preclude future US active involvement in hemispheric disputes. The Spanish-American War led to US annexation of Puerto Rico and Guam and occupation of Cuba and the Philippines. Theodore Roosevelt's "Corollary" to the Monroe Doctrine essentially changed it from a declaration of US opposition to new European colonization in the Americas (with no specified US response to violations) to an imperialist doctrine that the US would intervene anywhere it saw its interest at stake. After the War with Spain, "imperialism" came to take the somewhat softer forms of protectorates and economic imperialism, rather than outright colonialism. Interestingly, Britain applauded the Roosevelt Corollary, signaling its acceptance of the US as the dominant power in the Western Hemisphere, and freeing up ships of the Royal Navy to be redeployed in other theaters of higher priority to London in light of the increasing British rivalry with Germany. A very good book, that allows you to understand the basis for some of the ways that we conduct Foreign Policy, today. Jay Sexton gives an insight into the current bellicose Make America Great Again rhetoric, it's not new! Kind of confusing in some places & there is also a descent amount of unnecessary information in others. Not a big fan of the book and if I didn't have to read it for school, I would have never read past the first chapter.